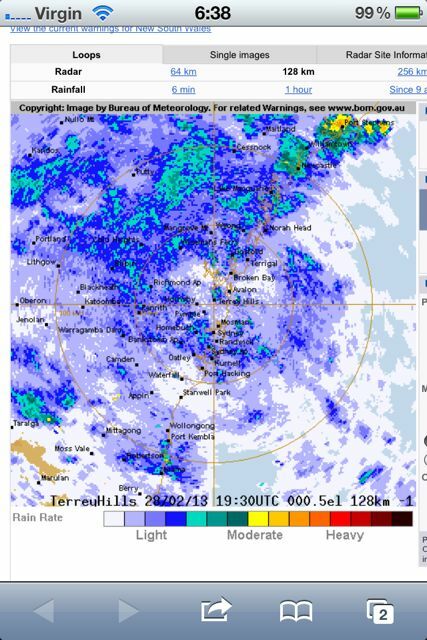 It was a very wet day in Sydney on Friday 1 March when Denis and I caught a cab in the city and slowly made our way to the start of the Coastrek 50-km night run in Balmoral. After registering for the race, we took cover in the boatshed and had afternoon tea waiting for the girls. Sam and Mel arrived, and after final preparations we made our way to the starting line. Huddling under a big tree trying to get out of the rain we waited till the last minute and rushed to the front of the 400-odd people waiting for the gun to go off. After a few encouraging words from Gabi Hollows and a big thank you for everyone’s fundraising efforts ($1.6 million raised at that stage) it was 5…4…3…2…1… BANG and off we sprinted to get first to the big stairs leading us from Balmoral Oval towards Clifton Gardens. 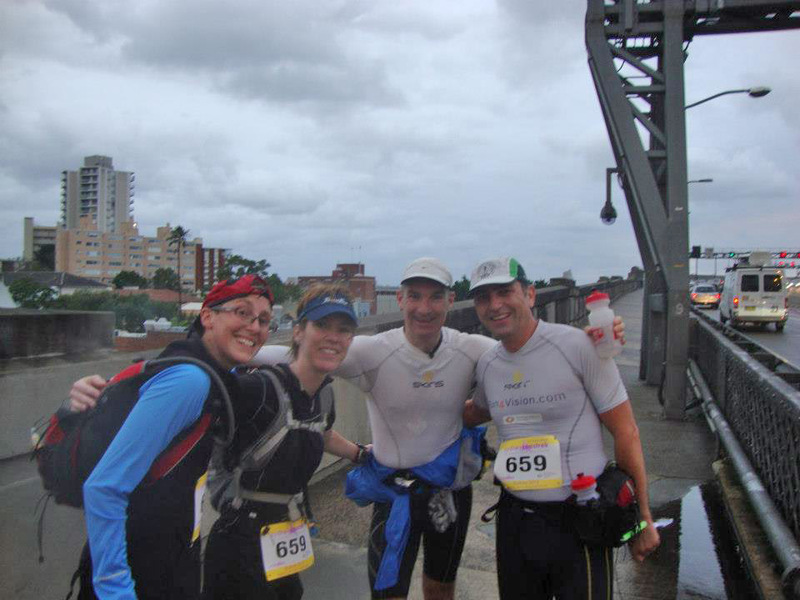 We only had to run for about 3km when thankfully the rain stopped and we could get rid of our rain jackets. Never really bothering about the puddles and mud we powered away through to Bradleys Head and onwards to Taronga Zoo. From at the start we knew that there where about ten teams from the 100-km race ahead of us and slowly we caught up with them one by one. We felt great and enjoyed the cool conditions, ideal for a long distance run, and without too much struggle we arrived at the bottom of the stairs leading up to the Harbour Bridge. A few minutes earlier and we would have missed one of Sam’s supporters waiting for us there – a quick stop for a photo and on we went towards Opera House and checkpoint 15. It was quite busy along Circular Quay with a cruise ship at anchor and we were waiving our way between all those people. We must have been a funny sight for the tourists in our flouro jackets and running gear. They probably thought that Mardi Gras started early this year. We quickly passed Harry’s on the Wheel in Woolloomooloo and brushed Kings Cross nightlife before finally catching up with our support crew (Suzi and Bonnie, the dog). We had a quick sip of hot chicken soup and off we went in a flash heading towards halfway point at Rose Bay. A nice chocolate profiterole later and with the knowledge that apparently only two more 100-km teams were ahead of us, we attacked the trickiest part of our race going through Nielsen Park – especially for Mel, who did not have the advantage of training along there with us. But it was through the woods here that we overtook one more 100-km team. We were fairly confident to catch the last reminding team soon thereafter and started to look forward to a ‘clear road’ all the way to Coogee. So we made our way to the South Head at Watsons Bay. At another quick soup stop at The Gap we found out from Suzi that no other team has passed for an hour and we wondered how fast that last team must have been. Only at the finish we found out that Denis got it wrong in Rose Bay, and that the last team was the one in Nielsen Park… but without that knowledge we had pushed hard trying to catch the imaginary last team before Coogee. Along the cliffs the South-Easterly was very strong and at some places the spray of the waves below felt like rain. Sam and Mel almost got blown off their feet at one point and it felt like running into a wall. After Bondi Beach we knew that it was only three more beaches to get home. I pushed hard and suddenly when turning around I could not see the others’ headlights anymore, so one kilometre before the finish line I waited – apparently Denis got ill and had a bit of a struggle getting up that last hill at Gordon’s Bay – but together we passed a deserted Coogee Esplanade and pushed up the last small hill towards the finish. James Brown was rocking away, and after 5h 34m and amidst lots of cheers, once more team Run 4 Vision crossed the finishing line as winners. Suzi, Bonny the support dog, and Uli were waiting for us with a bottle of bubbly to celebrate Mel’s missing birthday and our wedding anniversary – 29th February – and off we went for a well deserved hot shower and warm bed. 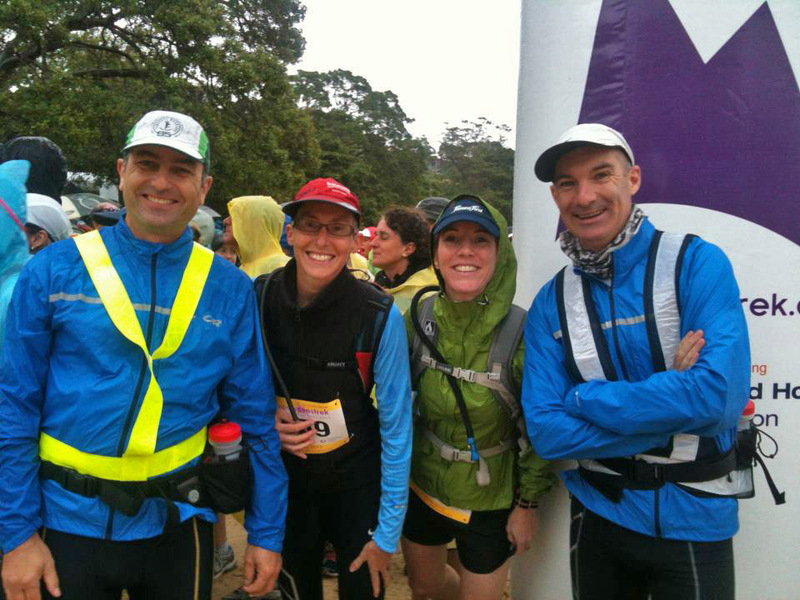 This entry was posted in Updates and tagged coastrek, racing, ultra marathon by run4vision. Bookmark the permalink.